May 9, 2018 — Voters in four states made their preliminary electoral statements known last night, choosing nominees in Indiana, North Carolina, Ohio, and West Virginia in the 2018 election cycle’s first multi-state primary event. The night included defeating the first incumbent of the electoral season, North Carolina three-term Rep. Bob Pittenger (R-Charlotte), and nominating two Senate nominees in what could become first-tier Republican challenger campaigns. One of the more interesting contests heading into yesterday’s voting was the Indiana GOP Senate primary where three major contenders were vying for the right to advance into the general election and face first-term Sen. Joe Donnelly (D). There, former state representative and national distribution company owner Mike Braun attempted to seamlessly drape both Reps. Todd Rokita (R-Brownsburg/Lafayette) and Luke Messer (R-Greensburg/Muncie) in the algae of the Washington swamp, with the two House members retaliating that Braun is a former Democrat with a voting record that supported raising taxes 47 times. Considering that Braun proved successful in winning the nomination last night, his strategy and clever advertising campaign worked but, in the aggregate, almost 60 percent of the Republican primary electorate still voted for one of the two congressman. In the end, Braun captured 41.2 percent of the vote, enough of a plurality to claim the nomination. Rep. Rokita was second with 30 percent, while Rep. Messer was a very close third, getting 28.8 percent of the GOP vote. Braun swept virtually all of the counties outside of Congressional Districts 4 and 6, which belong to Reps. Rokita and Messer, respectively. A Donnelly-Braun general election will be highly competitive, as now the new Republican nominee will make the incumbent senator the focal point of his anti-Washington swamp, politics-as-usual campaign strategy. The Indiana race now becomes one of the premier GOP challenge targets in the country. In the House races, while Braun ran strongly throughout most of the state, he failed to provide familial coattails. His brother, Steve Braun, fell to state Rep. Jim Baird (R-Greencastle) in a 36-29 percent spread from a 4th District GOP electorate that exceeded 80,000 votes. Baird will easily win the general election and come to Washington as Rep. Rokita’s replacement in the western state congressional district that touches the outer Indianapolis suburbs. Turning to the eastern 6th District, in a highly expected result, Vice President Mike Pence’s older brother, Greg Pence, easily captured the Republican nomination for Rep. Messer’s open seat. His 65 percent victory over four opponents sends him into a general election campaign that he will surely win in November. All local political observers were following the two Republican US House incumbents facing strong challengers. As mentioned in the introduction, Rep. Bob Pittenger (R-Charlotte) became the first House member in this fledgling election cycle to be denied re-nomination. Pittenger, who came within just 134 votes of losing the 2016 GOP primary, could not overcome former pastor Mark Harris this year. Harris, a 2014 US Senate candidate, ran two years later for the post court-mandated redistricting seat that changed 60 percent of the district just before the 2016 primary. Though it looked like Rep. Pittenger would have an easier road to re-nomination this year, the opposite proved true. Harris won the party nomination, 48.5–46.2 percent, a margin of 814 votes of more than 35,000 primary votes cast. Harris will now face the new Democratic nominee, businessman Dan McCready who is already on record saying he won’t vote for Nancy Pelosi as House speaker if he wins in November. The 9th District, which stretches from Charlotte to Fayetteville, posted a 54-43 percent victory for President Trump. Rep. Pittenger won re-election in 2016 with 58 percent of the vote. Though the numbers stack up well for Republicans in this district, with McCready already raising $1.9 million for the primary, it makes this contest competitive and may become a targeted Democratic challenge race. Moving to the Outer Banks region, veteran Rep. Walter Jones (R-Farmville), also facing serious competition, scored a 43 percent victory to win what he says will be his last term. The fact that he had two opponents who pulled virtually equal support allowed Jones to win again with just a plurality. He faces no competition in the general election, which means last night’s victory assures him of re-election in the fall. In the Greensboro area, as expected, University of North Carolina at Greensboro trustee Kathy Manning, another challenger who has raised well into seven figures, easily advanced into the general election last night with 70 percent of the vote. She will face freshman Rep. Ted Budd (R-Advance) in another November race that appears more competitive than the regional voting history might suggest. Budd garnered 56 percent in his first general election. The congressman was unopposed last night in the Republican primary. The Ohioans voted as expected last night. Rep. Jim Renacci (R-Wadsworth) scored a 47-32 percent win over investment banker Mike Gibbons to win the 2018 Republican Senate nomination. The congressman now advances against two-term Sen. Sherrod Brown (D) in November. Originally a gubernatorial candidate, Renacci made the smart switch to the Senate race after attorney general and former US Sen. Mike DeWine and Secretary of State Jon Husted voluntarily formed a ticket to effectively clinch the nomination in the early part of the year. All of these strategic moves proved prescient, as DeWine easily won the gubernatorial election last night, 60-40 percent over Lt. Gov. Mary Taylor (R); Rep. Renacci secured the Senate nomination. In the 12th District special election, state Sen. Troy Balderson (R-Zanesville) out-paced Liberty Township Trustee Melanie Leneghan by a single percentage point (29-28 percent) and topped a field of seven other candidates to win the Republican nomination and advance to the Aug. 7 special election. Franklin County Recorder Danny O’Connor easily won the Democratic nomination. The 12th is a reliably Republican seat, and with a 24,000-vote edge in total turnout last night, Sen. Balderson becomes the clear favorite to win the special general. Both men also were nominated for the full two-year term in November. Looking at Rep. Renacci’s open Cleveland-Akron area 16th District, technology executive and former NFL football player Anthony Gonzalez defeated conservative state Rep. Christina Hagan (R-Marlboro Township) 53-41 percent to win the Republican nomination. Gonzalez will now face healthcare company executive Susan Moran Palmer, who captured the Democratic nomination. The former Indianapolis Colts and Ohio State Buckeye wide receiver is the favorite to win the seat in November. In the other premier Senate contest of the evening, media reports that disgraced former coal company CEO Don Blankenship was making a serious move on the Republican nomination proved erroneous as two-term Attorney General Patrick Morrisey won the GOP primary with a 35-29 percent margin over US Rep. Evan Jenkins (R-Huntington). Placing third with 20 percent of the Republican vote was Blankenship. AG Morrisey won the right to challenge Sen. Joe Manchin in the general election. The incumbent defeated a Democratic primary challenger from his left, environmentalist Paula Jean Swearingen, 70-30 percent. Morrisey swept the northern and central portions of the state, with Rep. Jenkins dominating south West Virginia, the site of his congressional district. Blankenship won four small counties. The Manchin-Morrisey Senate election now becomes a top-tier Republican challenge race. With Reps. David McKinley (R-Wheeling) and Alex Mooney (R-Charles Town) running unopposed for re-nomination, the congressional action was in Rep. Jenkins’ open 3rd District where state House Majority Whip and farmer Carol Miller (R-Cabell County) topped a field of six other Republican candidates, including two sitting state delegates, one former delegate and congressional nominee, and an ex-West Virginia Republican Party chairman to win a close nomination campaign. She begins the general election in the favorite’s position against state senator and Iraq War veteran Richard Ojeda (D-Holden/Logan) who easily won the Democratic primary. 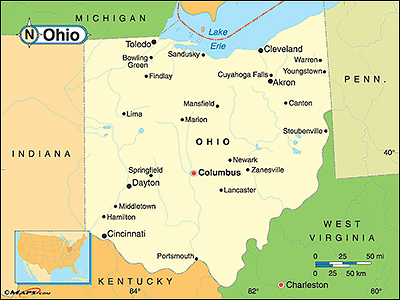 May 7, 2018 — Tomorrow’s primary featuring voting in Ohio, Indiana, North Carolina, and West Virginia is now only a day away; Berea, Ohio’s Baldwin Wallace University just released a new survey of the Buckeye State electorate. Though the poll possesses significant flaws, the primary results for both parties seem consistent with other published data, even though such publicly released information is sparse. The Baldwin Wallace poll (April 24-May 2; 811 registered Ohio voters — 333 likely Ohio Democratic primary voters, 323 likely Ohio Republican primary voters) is unusual in several ways. First, the nine-day polling sample is, on average, three times too long and thus negatively affects overall reliability. Second, and more damaging, is the huge over-sampling of female voters in the respondent sample. Some 59 percent of those polled are female leading women to dominate every polling segment. For example, on the question of political ideology, more women then men say they are very liberal (60.3 percent), liberal (60.0 percent), moderate (57.3 percent), conservative (53.6 percent), and very conservative (52.8 percent), thus yielding a female majority in every category. Since women traditionally poll more liberal than men, this poll skews definitively to the left. 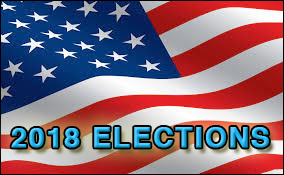 Another unusual aspect associated with the Baldwin Wallace research is the administrators not testing 2018 general election pairings even though they move forward to begin examining the 2020 Ohio presidential campaign. April 2, 2018 — Only two primaries are in the books, but already we appear to have clear Senate match-ups forming in as many as 14 statewide races. Below are the races that look set as general election campaigns. Those headed for serious primary battles are not included on this list. Arizona: Assuming Rep. Martha McSally (R-Tucson) repels her primary challenge from the right, the Grand Canyon State general election will feature McSally and Rep. Kyrsten Sinema (D-Phoenix) in what will be one of the premier Senate contests in the country this year. California: It appears we are again headed for a double-Democratic general election in the Golden State. Sen. Dianne Feinstein should have little trouble dispensing with state Senate President Kevin de Leon (D-Los Angeles). Florida: With Gov. Rick Scott (R) scheduling an announcement for April 9, it looks like the long-anticipated contest between the two-term governor and incumbent Sen. Bill Nelson (D) will come to fruition. Minnesota: Appointed Sen. Tina Smith (D) will be running to fill the remaining two years of resigned Sen. Al Franken’s (D) term. State Sen. Karen Housley (R-St. Mary’s County) immediately declared her candidacy and, so far, she appears headed for the Republican nomination. Neither woman has run statewide before, so this campaign has the prospect of turning highly competitive especially with Minnesota moving rightward in the past few elections. Mississippi: Developments within the past two weeks are yielding a second Mississippi Senate race for the 2018 election cycle. With Agriculture & Commerce Commissioner Cindy Hyde-Smith (R) already being designated to replace retiring Sen. Thad Cochran (R) when he leaves office in April, she will draw serious opposition from state Sen. Chris McDaniel (R-Ellisville). If no candidate obtains majority support in the Nov. 6th vote, the top two finishers will run-off three weeks later.